Prior to Sunday's Hearthstone Summer Championship finals, Shacknews sat down with Team 5's Matt Wyble to talk about the future of the Hearthstone Championship Tour, going from BlizzCon to Amsterdam, and the potential future of Wild tournaments. With the Hearthstone Summer Championship in the books, the Hearthstone Championship Tour only has a few stops left. It all culminates with the Hearthstone World Championship, which wraps up the Year of the Mammoth. 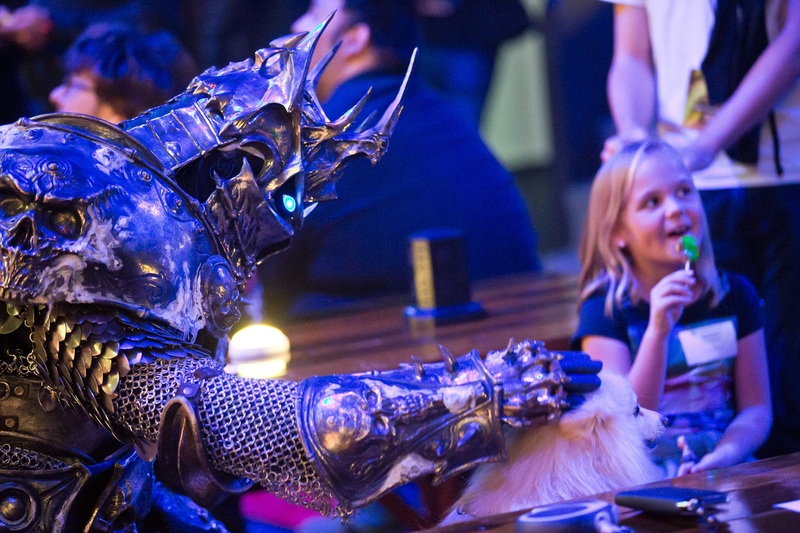 But unlike previous years, the event won't be held at BlizzCon. Instead, a champion will be crowned in Amsterdam on January 18-20 to culminate the year in Hearthstone esports. To get an idea of how Blizzard has reached this point and where the Hearthstone Championship Tour is headed, Shacknews recently sat down with Team 5's Matt Wyble. Wyble has helped oversee the Hearthstone esports scene from the beginning and he was happy to share some of his insights prior to the start of Sunday's Top 8. Shacknews: In what ways have you seen the Hearthstone Esports scene grow since its inception? 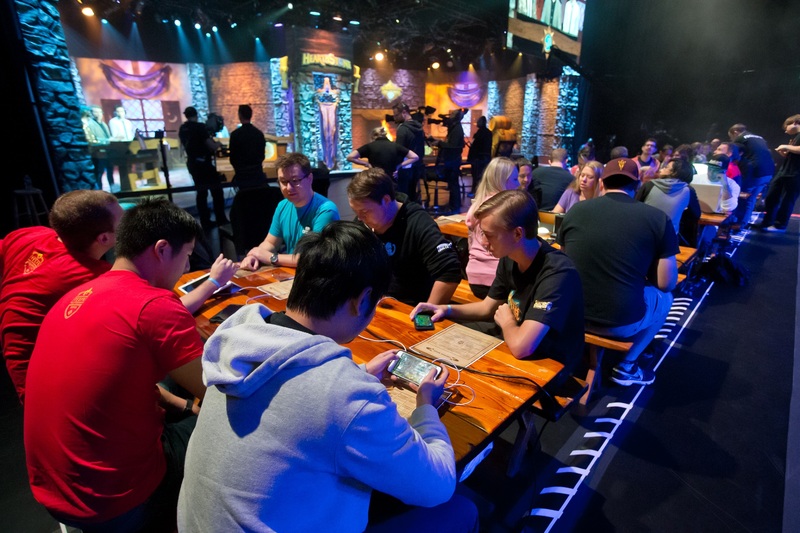 Matt Wyble, Hearthstone Esports Manager: This is something we've talked about before, but it wasn't something that we really anticipated at the launch of the game. For us, it's been a crazy ride for the last three years to see that grow and it's really been driven by the community. Every step of the way, we keep trying new things out and the community takes them and runs with them and does amazing stuff. So it's kind of this back-and-forth that we have, where we want to try new things out, we want to put things together that allow our players to express their love of the game and compete at the highest level. That just keeps working and working and growing into things like this. We're seeing some amazing players come out, people like [defending Hearthstone World Champion] Pavel, for example. Shacknews: This is an interesting year, because Hearthstone is holdings its championships in January, despite last year's championships being one of the most exciting events at BlizzCon. What went behind the decision to move the World Championship from BlizzCon in November to Amsterdam in January? Wyble: One thing we've realized is we really love when we're able to tightly integrate our esport with the game itself. The Hearthstone calendar runs around March-April to March-April, so this year, we're aligning each season with an expansion. An expansion comes out, you have three sets a playoffs, and then a championship. We're able to build that system that tightly aligns with the game and we think that's really fun. The reason that the championships are outside of BlizzCon is because we want to have them be the culmination of the Year of the Mammoth for HCT. That's really why we wanted to move it out, so we could align those schedules. Shacknews: So I'll go ahead and rephrase my next question just a little bit, because at first, my concern was that competitors would have less time to prepare for the competition with a new expansion coming out, but it's sounding like they'll have sufficient time with the new expansion before the next stage? Wyble: Well, I think you'd have to ask them. (Laughs) Because they could have differing opinions. But definitely, looking at things like that was something we were taking into account with scheduling. Shacknews: What kind of feedback did the team receive from pros and streamers regarding the most recent patch that the team may take into account in the future? Wyble: I would say that our team is pretty ravenous in taking in feedback that we see from Reddit, Twitter, and watching the broadcasts. More than people realize, we're actively watching and listening all the time to see how people feel, in addition to just our own internal data to see how our games are playing out. There's a lot of sophisticated data modeling going on behind the scenes, as well. All those things, including pro player feedback and performance at the events, are all taken into account. Shacknews: What were the team's big takeaways from the recent Wild Invitational? Is this a side of the game that you'll look to keep exploring and how soon would Blizzard look to potentially hold another Wild tournament? Wyble: We're really excited about how that event went. We think there's a lot that was awesome about it. There are a million things that we want to keep improving on, too. We want to keep having events that are Wild competitive events. They just have this different spin on the game. And as we see over time, each year that we're doing a set rotation, different sets get rotated into Wild, and Wild and Standard deviate from each other more. It just gets more and more interesting over time to see the differences between those two metas. In terms of a specific timetable, I don't think we have something to share today on that. I think we'll have something hopefully soon to share about what that might look. But yes, we definitely want to continue doing competitive Wild events. Shacknews: What are your impressions of the Blizzard Arena as a whole? Wyble: It's been awesome so far! We've had different homes over time, but they tend to be more "studio homes" without a live audience and that aren't public-facing. So to have a place that we can host events in regularly where our fans can come and check it out is really exciting. It unlocks a lot of opportunities for us to do cool stuff and work really closely with the other game franchises to see what they're doing versus what we're doing and work together to find best practices and synergies and things like that. It unlocks a lot of potential for us to do things and we're just getting started here at the Summer Championship. Shacknews: I'm not sure how much you could speak to this at this particular moment, but what is the Blizzard esports team's biggest priority for next season? Wyble: I might not be able to directly answer that question, but what I will say is that first, we make programs for an entire year. Then the year starts. A few months in, we're already collecting a list of things that we want to change for next year, but we have rules for a full year and so on and so on. We're able to tweak things within the year, but we're able to make bigger changes at the end of the year. If you look at the last three years, at the end of the year leading into next year is when you see a giant jump forward. That's when we created HCT two years ago. There's a lot that we want to do, there's been a lot of great player feedback recently, about various aspects of the player experience that we want to keep improving. And we're taking all of that into account. I want to be able to share more, because I'm super excited about what we're going to do, but... "Soon™" on that actual announcement. We have a lot of changes and tweaks in store that a lot of people are going to be excited about that aligns with the feedback that we've been receiving.